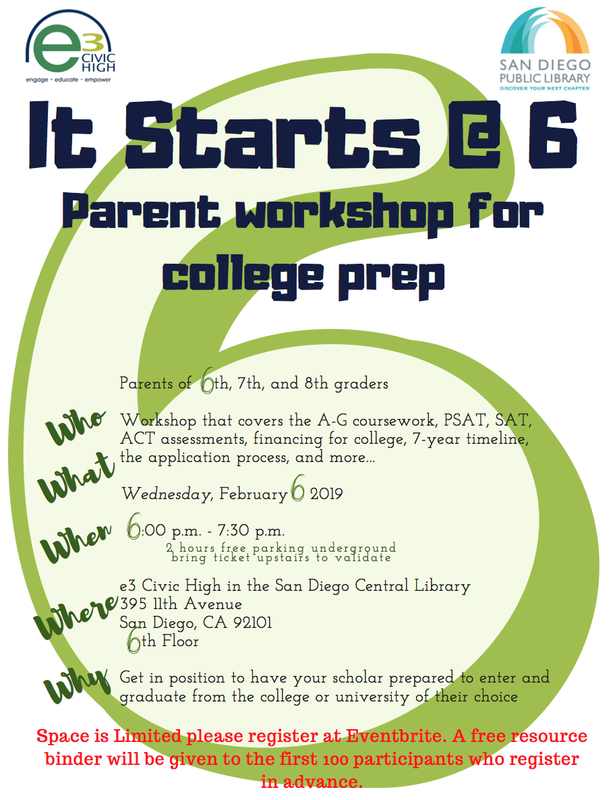 This community service training in conjunction with the SD Public Library will empower parents to get their middle schoolers in line to be admitted to the college or university of their choice. Register at Eventbrite for this FREE training. For all early registrants, you will receive an invaluable Resource Binder.